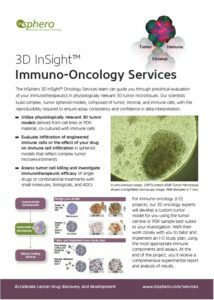 For immuno-oncology (I-O) projects, our 3D oncology experts will develop a custom tumor model for you using the tumor cell line or PDX sample best suited to your investigation. 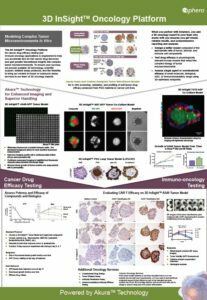 We’ll then work closely with you to tailor and implement an I-O study plan, using the most appropriate immune components and assays. At the end of the project, you’ll receive a comprehensive experimental report and analysis of results. 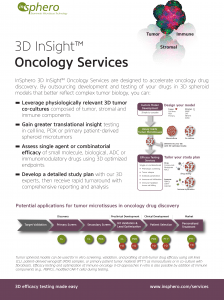 Download our Immuno-Oncology Services brochure for more details.